Sometimes the latest business fads are great -- and sometimes they just don't work. Sometimes the way we've been doing things for years used to work well -- just not any more. If they work -- you get an edge over competitors. And if they don't work, you can avoid the traps everybody else falls into. 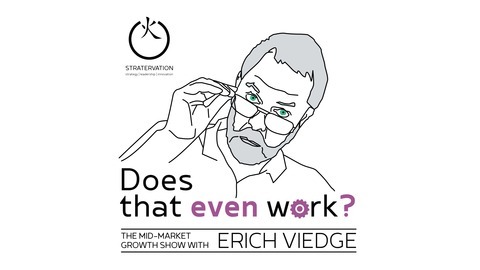 This podcast takes a business practice and asks a simple question: Does That Even Work? 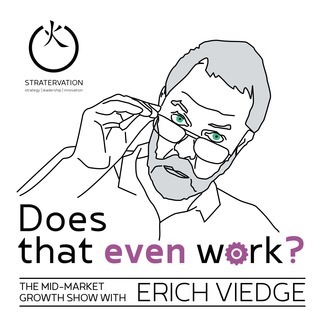 We interview experts on the latest management thinking with a skeptical ear -- so that you can be better informed and make smarter decisions. For more information, visit http://www.stratervation.com. Is Design Thinking really Bulls**t? In this episode we examine Natasha Jen's claim that design thinking is bulls**t.
We spoke to Austrial-based Ingrid Gerstbach, Design thinking consultant, author and speaker (site in German but she speaks good English and does work in the UK as well). Her books are also available for sale on her site.